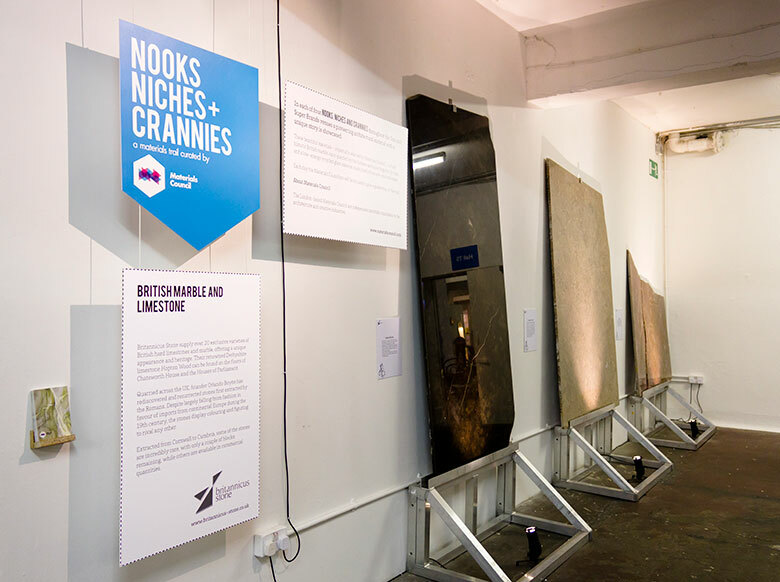 In each of three ‘Nooks, Niches and Crannies’ throughout the Tent and Super Brands exhibition venues a pioneering architectural material with a unique story was showcased. 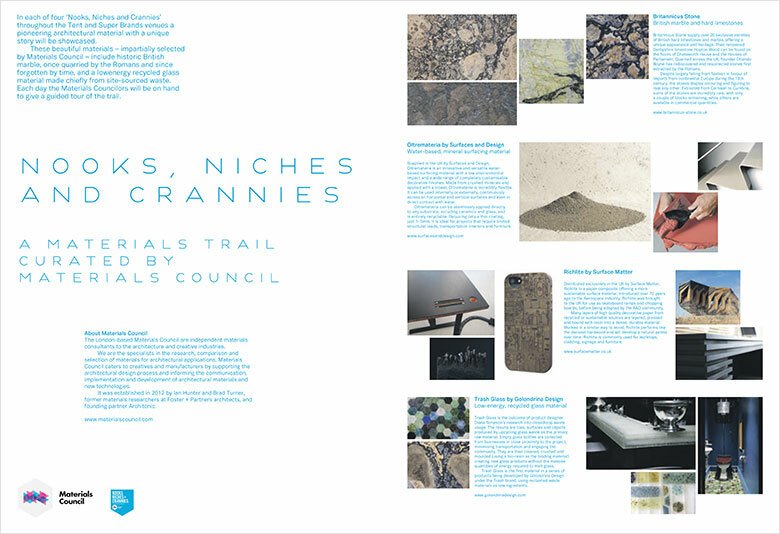 These beautiful materials – impartially selected by Materials Council – include historic British marble, once quarried by the Romans and since forgotten by time, and a low-energy recycled glass material made chiefly from site-sourced waste. Trash Glass is the outcome of product designer Diana Simpson’s research into closed-loop waste usage. 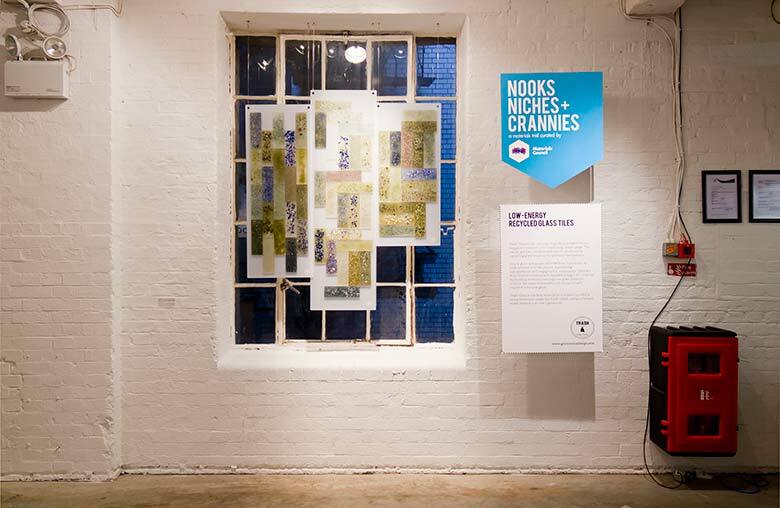 The results are tiles, surfaces and objects produced by upcycling glass waste as the primary raw material. Empty glass bottles are collected from businesses in close proximity to the project, minimising transportation and engaging the community. They are then cleaned, crushed and moulded (using a bio-resin as the binding material) creating new glass products without the massive quantities of energy usually required to recycle glass. Trash Glass is the first material in a series of products being developed under the Trash brand, using reclaimed waste materials as raw ingredients. 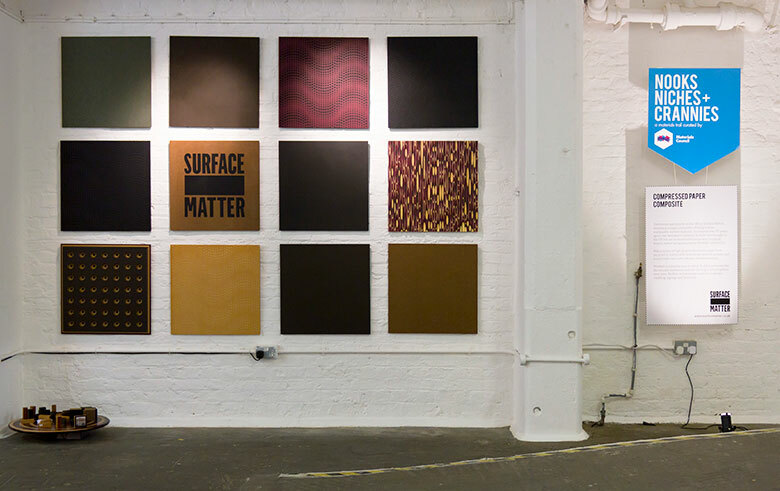 Distributed exclusively in the UK by Surface Matter, Richlite is a paper composite offering a more sustainable surface material. Introduced over 70 years ago to the Aerospace industry, Richlite was brought to the UK for use as skateboard ramps and chopping boards, before being adopted by the A&D community. 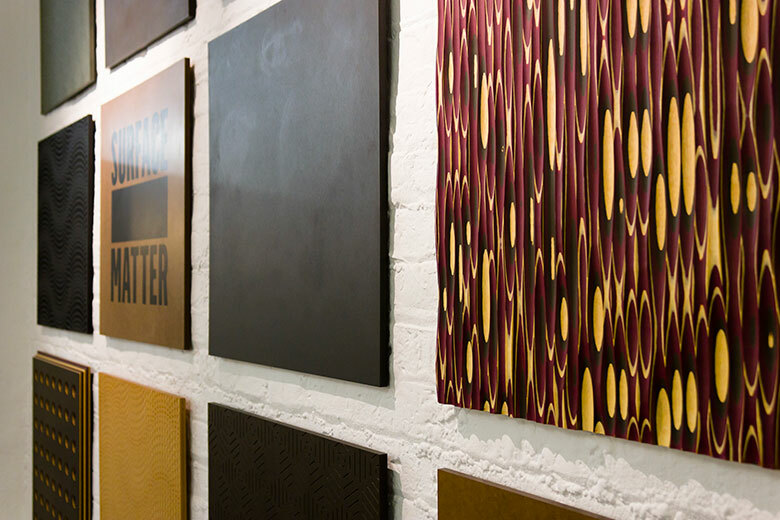 Many layers of high quality decorative paper from recycled or sustainable sources are layered, pressed and bound with resin into a dense, durable material. Worked in a similar way to wood, Richlite performs like the densest hardwood and will develop a natural patina over time. Richlite is commonly used for worktops, cladding, signage and furniture. Britannicus Stone supply over 20 exclusive varieties of British hard limestones and marble, offering a unique appearance and heritage. Their renowned Derbyshire limestone Hopton Wood can be found on the floors of Chatsworth House and the Houses of Parliament. 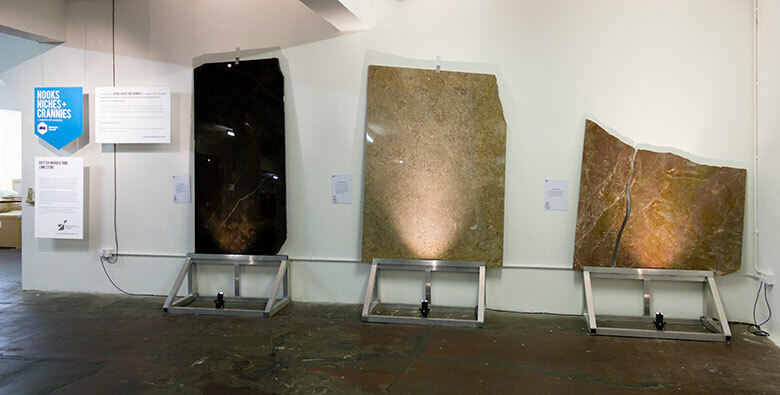 Quarried across the UK, founder Orlando Boyne has rediscovered and resurrected stones first extracted by the Romans. Despite largely falling from fashion in favour of imports from continental Europe during the 19th century, the stones display colouring and figuring to rival any other. 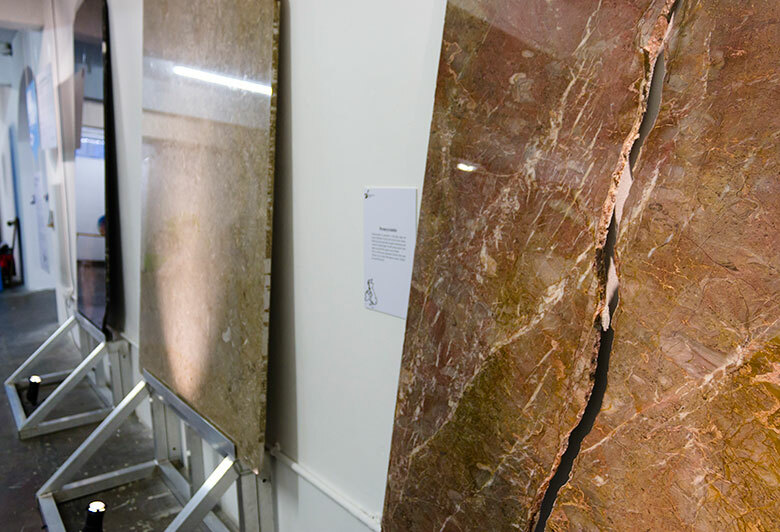 Extracted from Cornwall to Cumbria, some of the stones are incredibly rare, with only a couple of blocks remaining, while others are available in commercial quantities.